How To Apply Fake Eyelashes - Step By Step Guide! How To Apply Fake Eyelashes – Step By Step Guide! Don’t we all envy those gorgeous looking lashes that women have? The beautiful eyes looking through those thick lashes can melt anyone’s heart. So, what is the secret behind those thick brows and the lush lashes? And, how does one actually get that kind of lashes? Well, it is not as difficult as it seems. One can easily get them by using fake eyelashes. But, applying fake eyelashes is a very tricky thing, as well. It requires a good amount of precision and concentration. If not applied carefully, the lash bands can fall off even before the night ends. And, that will be the ultimate fashion tragedy for anyone. Let’s learn here how to apply fake eyelashes! What Kind Of Lashes Should Be Worn? One should use the right kind of lashes, as the fake ones tend to look synthetic and heavy, sometimes. There are ultra-thin lashes available, and there are also thick ones available. Choose the type as per your natural lashes. Get your toolkit ready, and you will be ready to apply these lashes. All you need is a mascara, a set of lashes, and some eyelash adhesive, which will do the trick. And, of course, you will need some patience, as hurry might mess up things. How To Apply Fake Eyelashes? Applying mascara is the first step. For this, you will need to curl the natural lashes, and then apply a coat of mascara on them. This will create a shelf for supporting the weight of the fake lashes. The next step is to align the band with the natural line and to trim off the excess lashes. When the excess lashes are trimmed off, it will look more natural. This step involves cutting the lash bands right in the middle of creating a large individual eyelash. This will make it easier to cut and paste. For this, you will need to have a correct measurement of your lashes. This is the stage, where you will need to apply some black adhesive on each lash band, separately. You will have to wait for a few seconds for allowing the adhesive to dry. Once dried, the adhesive can be easily stuck on the lash. This is the final step, where you can place the extension on your lashes. Remember to use your fingers instead of the tweezers. Start with placing it on the outer corner first, and then hug it to the lash line. If you wish to give it a more intense look, you could use put the outer extension a little bit above the natural lines. While applying the inner extension, try to avoid getting closer to tear ducts, so that you get a little more width on the eye. Closer to the tear duct will make the eye look narrow and cross-eyed. 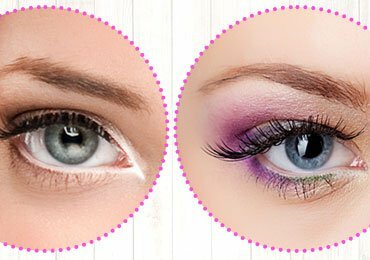 Though, applying fake lashes is not too difficult if you follow the steps carefully, you also need to know some tips and tricks, which can help you get a gorgeous look. Given below are some fake eyelashes tips, which will help you in having those perfect lashes. When the lash bands are curved, it is easier to apply the lashes. Do not fret if you think you went overboard with it. It is actually quite easy to apply a harshly curved false lash on the eyes, instead of trying to pin down the ends of lashes that are straight. To get the U-shape on the lashes, you can either toggle the ends of the eyelashes between your fingers or try to wrap the lashes on any cylindrical object. As the lashes are not made out of 100 % human hair, it will not bend easily. So, you will need to put in some efforts to bend it right. When there is oil on the lids, the lashes won’t bond. So, if your eyelids are naturally oily, try to remove the extra oil, using oil blotting sheets. And, in case, you are reusing the lashes, ensure that you do not remove them with a makeup remover that is oil-based. This will make the oil to stay there and make it hard to be glued back. Beginners need to have a good precision while applying the lashes. And, the mirror plays an important role in that. It should be placed correctly so that the lashes are applied successfully. A majority of the people apply lashes in a standing position in front of the mirror. This can make the hand to shake, and make you lose the grip. To avoid that, you could keep the mirror flat on the table, with the elbows on both sides of it. This way, you would be able to look down in the mirror, with the fake lash glued, and ready to be applied. This will also give you a good view of where the lashes are to be applied. Or, you could use a swivel mirror, and use them to be placed beneath the face. The angle will need to be adjusted, though. With the elbows propped up on the table, you can support yourself and apply. The mirror should be beneath the face so that it gives a perfect view of the natural lashes and the fake lashes. In case, your hands are still shaking, you could put your chin on the table, as well. And, then, you would definitely not feel any shakiness. It is always better to start with small lashes and then go bigger. The half lashes or the accent lashes are short in width, and they cover only the outer half of the eye. These will be easily stuck to the eyes, without much issues. Once you master with the smaller lashes, you can graduate to the bigger ones. If you love the full strip lashes, but do not know how to set them correctly, you can try to cut them into 2 or 3 sections. Then, you can either use the half lash or the full strip lash. Then, you need to place these lashes on the lids. But, this tip might not work perfectly with the thick lashes, as people might be able to make out where these have been cut exactly. Better to go with lighter-density ones, and shorter lashes, which will look more natural. There are lots of eyelash products available in the market, which will make you look smoldering and pretty. Check out reviews of these top 5 products. This is an awesome eyelash product for giving those lush and voluminous lashes. It contains potent ingredients, which can penetrate each and every hair follicle and can stimulate growth. It not only grows and thickens the lashes but can also restore the weak and thinning hair. It contains natural ingredients, which are completely safe. As per the reviews, using this product for 6 weeks continuously leads to a 55 % increase in the length and thickness of the lashes. To use this, you need to apply this serum, using applicator tip, on the root area of upper lashes. These false eyelashes from Essy can give a complete makeover to your eyes. To use this, curl the lashes using an eyelash curler. And, apply mascara before placing the fake lashes. While using the lashes, bend this slightly, just as close to the curve of the eyes. Align these magnetic lashes on the top, and below the natural lashes in such a manner that magnetic strips are matched. When these are aligned properly, try to connect the lashes. Handle them gently while applying or removing. As per the customer reviews, these false lashes are excellent and are available at a reasonable rate. It is perfect and fits very nicely, and lasts for a longer period of time. Vena beauty eyelash growth serum is an advance formula for thick and long lashes. This is especially created for strengthening, magnifying and lengthening the natural lashes and brows. As per the reviews, only 2 weeks of using this product can help in lengthening the brows. It contains natural and nourishing ingredients, which is safe and gentle for all types of skin. The nourishing serum will help in improving the frail lashes. The serum gives long and lush lashes, and will not require piling on mascara layers. The ingredients are safe, and provide high performance. For applying this serum, you should start applying from the base of upper lashes, with the help of applicator brush. Before you apply this, you should remove make-up and eye creams from the eye completely. Start from the inner edge of the eye, and go outwards, and then apply on the base of the lashes directly. Applying it every night before going to bed will give an effective solution. The users have got a 20 % increase in length and thickness of lashes in just 2 weeks, and almost 55 % increase in just 6 weeks. In fact, there is also a refund and replacement if the product is not found to be satisfactory. This awesome product has magnets, which allows for an easy application while having a strong adhesiveness. This does not have any glue. These are comfortable to wear and are reusable. The lashes are ultra-thin and gives you extra comfort. The magnets will need to be handled carefully so that they last for a longer time. It gives an amazing 3D finish, which gives a glamorous look to the wearer. The ends should be trimmed so that it can fit the desired length. As per the customer reviews, this product provides 100% satisfaction. It is rated as an excellent product and is also very easy to use. As the bands are thin, these give a completely natural look. This Dual magnetic eyelash is so natural and beautiful that these will not look fake at all. For this, you need not even know how to apply fake eyelashes. They are lightweight and are made of premium synthetic fiber, which gives lush lashes, without causing any problem to the skin. They are environment-friendly and provide maximum comfort. As they are so light, they do not give any feeling of being worn at all. Also, these can be applied within seconds. You only need to connect the top and the bottom eyelash magnets, and these will help in enhancing your appearance, even when you are in a hurry and do not have time for makeup. These are also reusable multiple times and can be easily cleaned up. It only requires a moist towel for cleaning the lashes. Now that you have read about how to apply fake eyelashes, you can wear them whenever you want, and flaunt them around. You will soon be known as the woman with those gorgeous lashes and will become the envy of many. It only requires some concentration and focuses from your end, and you would be good to go. Complete your eye makeup with those fake eyelashes, and you will have a smoldering set of eyes. How to Get Bigger & Fuller Lips With Makeup Tricks, Tips & Hacks? 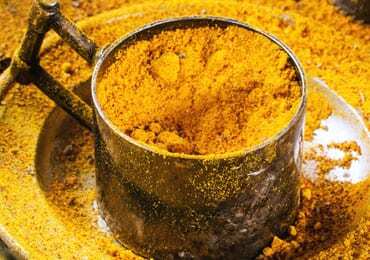 Do You Know Turmeric is a Wonderful Remedy for Acne and Pimples? 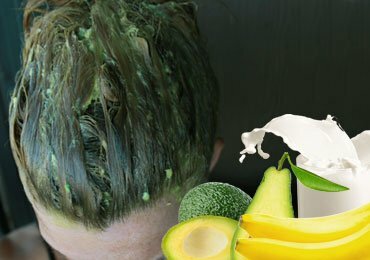 Happy Hair at Home : 5 Homemade DIY Hair Masks for Shiny & Healthy Hair! 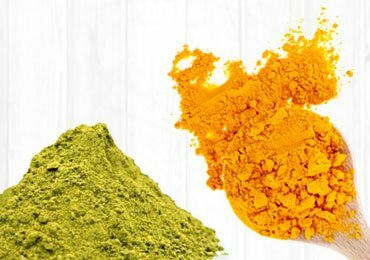 Stunning Beauty Hacks From Indian History You Must Know! 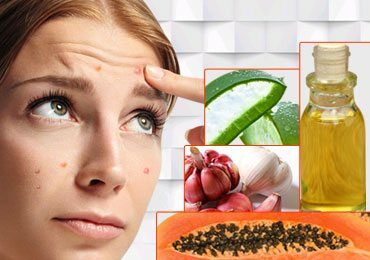 How to Get Rid of Pimples Fast Using Simple Home Remedies? 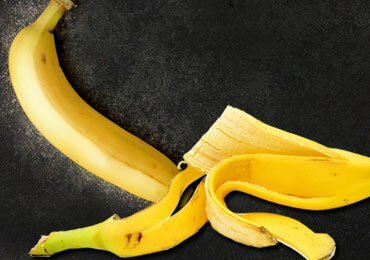 Surprising Banana Peel Uses And Benefits! 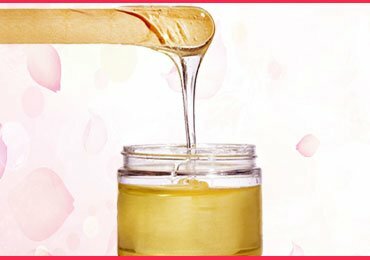 Tips and Techniques for Waxing With Ease! 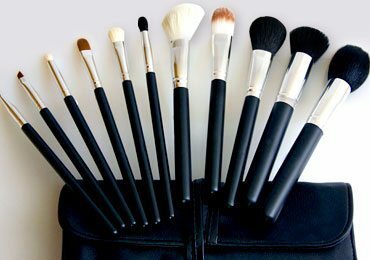 Makeup Brushes Guide : 5 Make Up Brushes Your Vanity Kit Needs! 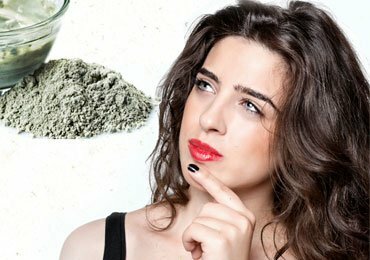 Bentonite Clay Hair Mask – A Natural Gift For Nourishing Your Hair! Eyeliner Ideas – Top 20 Eyeliner Styles Which You Will Surely Love!